In the name of Almighty; most Merciful most Gracious. Over past few years, Zancana has been helping individuals and families settle in Canada. 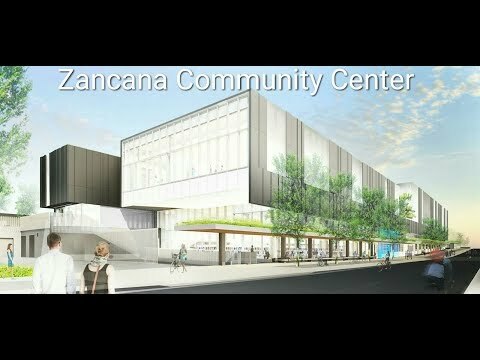 Zancana has now become an integral part of the East African cultural and religious setting of the multi-cultural community in Toronto. Every Muslim living in this country has a responsibility to ensure our young and old are steadfast in their religion and have appropriate resources made available to them. We need your support. The purpose of this project is to have a place in the name of Almighty Allah who has blessed you with this opportunity to join us. With your contribution, our community will have a chance to purchase a magnificent Property for the purpose of preserving it as a MASJID and Educational facility for all Muslims. Prayer hall where about 400 people can pray divided for men/women. Multipurpose Hall for large lectures, children and adult Islamic studies, conferences, Ramadan activities, Eid ceremonies, and also used as an extension for occasional prayer and for sport activities. Educational/Administrative building that includes a day-care facility and a school with computer suite and library. Your donation in the name of Allah will bring you its rewards as promised by Him. So please take the great step now and make your donation. "He who built a mosque for Allah, the Exalted, and Allah would build for him a house in Paradise"